Interesting little piece from the BBC interviewing Steven Johnson on his book "Where good ideas come from". We also like the cartoon scribing at the start from Cognitive Media, who we've used in some of our internal meetings. We came across this interesting article on the link between design in hospitals and the impact on the patients and their recovery. The British Medical Association is calling on healthcare organisations to prioritise design in all future building projects. A new report presents research showing that the architectural environment can significantly affect patients’ recovery times. In contrast, poorly designed hospitals and surgeries can cause anxiety, delirium, high blood pressure and increased use of painkillers, it says. The report, The Psychological and Social Needs of Patients, published this month, consolidates many pieces of research that underline the link between design and patient recovery. It was welcomed by John Cooper, chairman of Architects for Health, who intends to contact the BMA to show how better design could save the NHS money in the medium term. “I will demonstrate that if you embody these findings into your design it might cost you a bit more but in revenue terms you will make savings after three to five years,” he said. Alistair Cory, principal of health specialist NBBJ, said: “It’s great that an organisation like the BMA is not just recognising the importance of good design but shouting about it. The report’s recommendations include eliminating long corridors because nurses can spend up to 40% of their time walking instead of caring for patients. It also warns that patients should not be overcrowded and should have a variety of spacious, quiet, well-lit and well-ventilated spaces with pleasant views. Researchers found patients hospitalised for depression stayed an average of 3.7 days fewer if they were assigned east-facing rooms exposed to morning light, compared to patients in west-facing rooms with less sunlight. Good evidence that designing for people and understanding the physical and psychological response to that design can really pay dividends. What is the future for Fire & Rescue Service control rooms? The cancellation of the FiReControl project announced by the Government at the end of December, has thrown the future of Fire & Rescue Service control rooms into chaos. Many Services in need of modernisation of their control rooms had held off in the knowledge that FiReControl would deliver new purpose built regional centres and a new national integrated system. New control rooms are likely to re-use or expand existing buildings rather than incur the cost of new build. 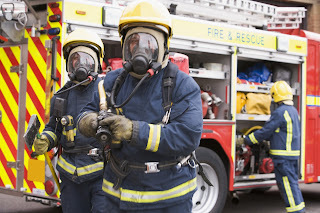 Some Fire & Rescue Services have let their existing rooms dilapidate or have to vacate their current premises in anticipation of moving to the new centres so will have to take some sort of action. Projects must ensure that the right working environment is provided and the adaptation of existing structures usually brings constraints. The right expertise is needed to ensure that good design decisions are made to adapt the existing structure to provide an ergonomic work space. There is also the question of what will become of the now built Regional Control Centres? Will the Government consider tri-services controls for that area or possibly sell the buildings off for use by other agencies or even for a totally different use like call centres? Some services may have to consider upgrading their call handling and mobilisation systems. This is where the FiReControl project fell down and where other previous projects have had problems. Our key message for success is to understand and map the user requirements at an early stage, make sure that the system delivers those and get the end users involved throughout the development and testing of the system. Going for the cheapest solution may not be a great idea either however tempting in the current climate. Perhaps the main challenge will come where the Fire & Rescue Services merge or co-locate their control rooms with those of their neighbours to get operational benefits or cut costs. These projects will have to carefully consider the design of the enlarged control room and the systems that will be used – but what is usually forgotten or inadequately addressed is the management of the change that will take place . All control room design projects involve change but where organisations come together the need to address the socio-technical issues is higher. One of the major challenges here is to assess the impact on team working and things like the retention of local knowledge. At a detailed level, there will probably be changes in processes and procedures, in management and supervision. But there may also be changes in operational philosophy and the fundamentals of “how things get done”. Organisations are different so developing this new common way of working is often hard. The key is how the project takes the staff on “the journey” and involves them in the change – without this the chances of getting their buy-in and commitment to the change is low and resistance increases the risk of project failure. Many systems, especially those in control rooms such as mobilisation for the emergency services, use maps as a key part of the user interface. However getting the usability of these maps is not always simple. There are many different aspects to get right - the normal 'point & click' interface doesn't make navigation easy - the combination of dragging, centering and zooming can be cumbersome. But also getting the map itself to be readable, given the potential volume of information, can be complex. The most successful approach to this is through layering of information and Google Maps has used a number of methods that have cracked some of the problems. For city labels, Google gives each label a white background eliminating the map detail behind the label. It also uses more classes or types of label than other mapping systems. Google also uses a lighter shade for the labels of the lower classes. 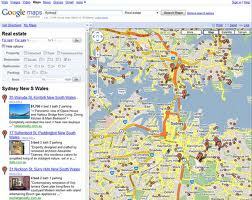 These all combine to make the labels on Google Maps very readable and reduce the apperance of visual clutter. Google Maps also applies some decluttering tricks around the major urban areas and seemingly around the spacing of cities. So some interesting lessons about clutter for designers of all maps. Anyone seen any other good examples? Many companies have had to make significant cutbacks meaning that investment funds for new facilities are scarce or non-existence. But in safety-critical environments there is a need to ensure that systems and controls are maintained at maximum operating efficiency. As a result, many organisations are looking at how they can extend the life of their existing assets and make their operations leaner. To tackle this challenge, we've launched a new ‘Control Room Life Stretch’ service to show organisations how to extend the life span of their control centres by spending only where there is real value. This is a fixed-cost audit to identify where the weaknesses and risks lie and where investment is required or savings can be made. It then makes recommendations based on cost/benefit. Economic realities cannot impact on safety or operating efficiency in control rooms, but many organisations have had to put their investment plans on hold in the short-term. With ‘Life Stretch’ we aim to help those organisations which need to increase the lifespan of mission critical environments like control centres. We have developed the product following demand from existing clients who need to prevent system obsolescence, reduce the risk of operator error and ensure their facility can cope with increasing demands or changes in the external world. The process can help reduce ongoing costs such as maintenance as well as improve overall performance. Following an in-depth audit by one of our consultants, we produce a ‘Life Stretch Plan’ which illustrates options, associated costs and resources required.